Destiny by Jan Douglas Design-#JAD22- This stunning wall quilt designed by Jan Douglas is created from Maywood Studio's Garden of Enchantment fabrics. 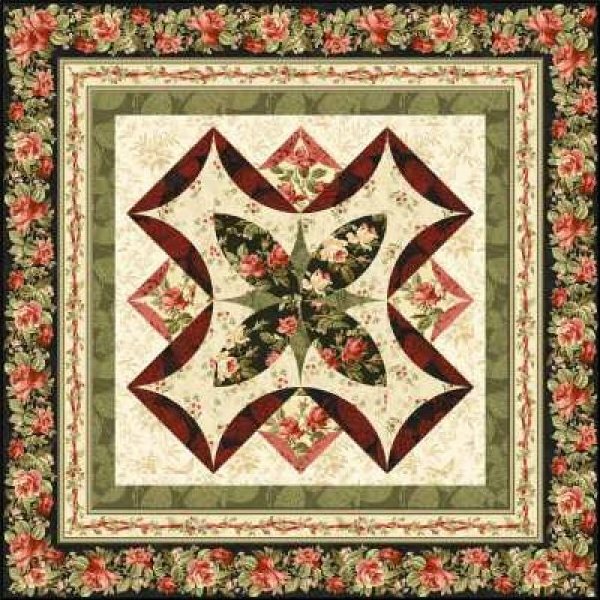 The center block is simple straight piecing, has no inset seams, and either machine or hand applique techniques can be used to create the curves. It truly is a fun pattern that gives an intermediate quilter an opportunity to learn new skills.